“We aren’t going to girl scouts tonight,” I said half expecting my daughter to protest. I was done with our over-scheduled spring. I was done sitting in rooms watching my kids learn scouting lessons. I was done sitting on the sidelines of soccer practice and games, racing home from school just to race out the door again to drop them off or pick them or sit at the head of a lap lane at the pool while a patient coach tried to teach the art of treading water. The kids were grumpy. I was grumpy. I just wanted to be home. “Yes!” she practically yelped! Within moments she and her brother simultaneously bolted toward their rooms. They stripped off their clothes and pulled themselves into their swimsuits one flailing body part at a time. Shorts, underwear and T-shirts were flung from one end of the house to the other in a dizzying display of childhood enthusiasm. They needed help locating the water guns and sprinkler, but once they were set up I sat back in the quiet of my kitchen and listened to roars of laugher pour in through open windows. This is the childhood I wanted for them. The carefree nothingness that this time in their lives should exude, but also this is the motherhood I dreamed of. This is the part I’ve been waiting for, and I’ve wanted since the very beginning. The part where I get watch them play together without trying to kill each other, where I watch their creativity unfold and I smileat their laughter. It’s where I make a mental photograph of water arching through the air onto drenched bodies, and where bare feet run as fast as they can across gravel driveways and imperfect lawns without a thought or care. No need for half-time, no uniform required, no patches to iron on or shop for, and no rules – just unabashed freedom from worry and expectation for myself and for them. With The school year ending, and Memorial Day announcing the beginning of summer my family goal is to be as unscheduled as possible, and hope you find some time for that too. 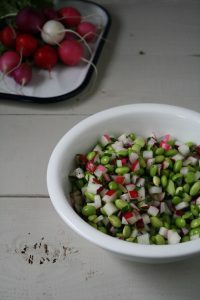 This simple Radish and Edamame Salad with Lemon Vinaigrette is a great way to use up the undervalued, inexpensive and humble radish, which is plentiful this time year. 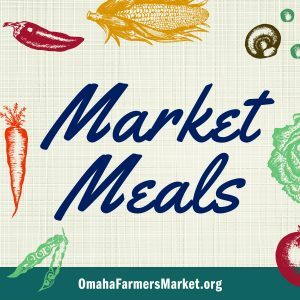 It’s a great side dish to balance the greasy burgers and bratwurst sure to be in full force at most Memorial Day barbecues. 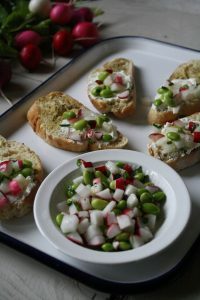 As the recipe is written it’s best for a side salad at dinner, but you can easily double it to serve at your Memorial Day party. 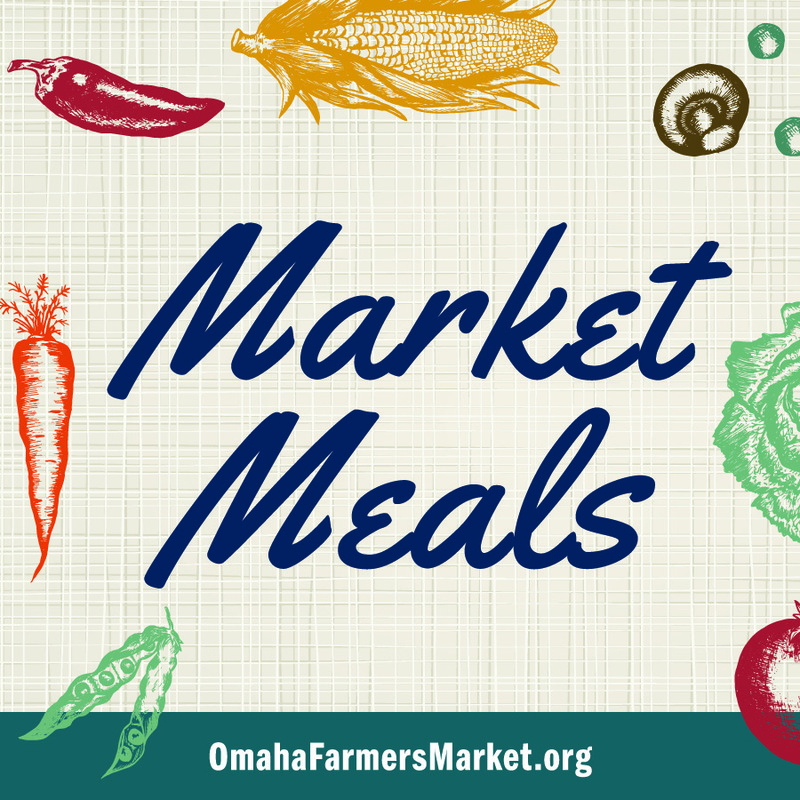 Salt causes radishes to release their liquid, which can water down your vinaigrette and soften your radishes. It’s best to dress this salad right before serving. If you have an aversion to salad and you must eat things on crostini aka fancy toast, I’ve provided an alternate recipe below the main recipe. Bring a pot of heavily salted water to a boil. Make it salty like the sea. Add the edamame. Let cook for about 10 seconds. Drain and cool. Set aside. 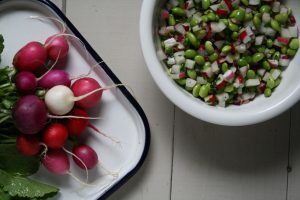 In a medium bowl, combine diced radishes, chives, and zest. Stir in cooled edamame. In a small bowl whisk together vinaigrette ingredients. Taste it, and adjust as you see fit. It’s easy to transform this salad into a fresh and vibrant appetizer. Make the salad as directed above, but triple the vinaigrette recipe. Drizzle 1 tablespoon of vinaigrette on the salad and stir to coat. Slice the baguette on the bias and toast in a 375-degree oven, this should only take a few minutes depending up on how thickly you slice the bread. Let cool, then brush each slice with remaining vinaigrette. 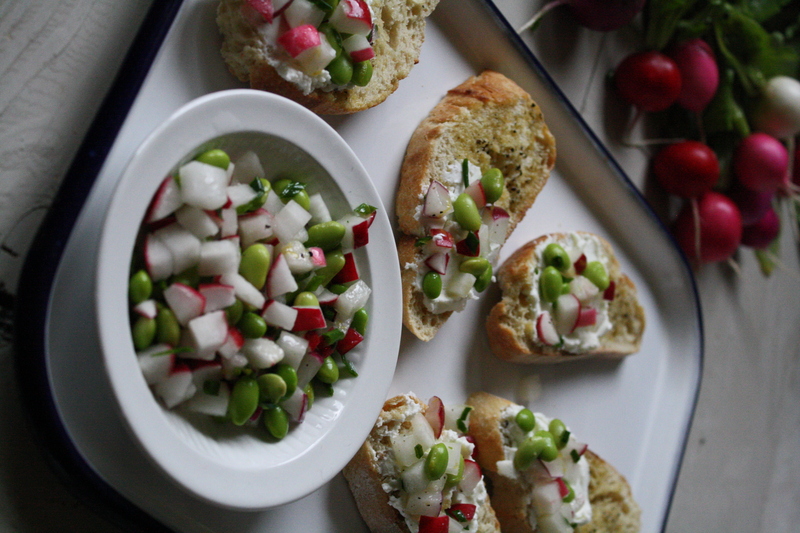 Spread a bit of chèvre on each slice, then top with a spoonful of the radish and edamame salad. Sprinkle with a bit of salt and another crack of pepper. Arrange on a platter and serve. If you’d rather enjoy it as snack or appetizer. Leave the salad as is, but double the vinaigrette recipe. Thinly slice a baguette on the bias, toast the individual slices in your oven. Toss the vegetables in 1 tablespoon of vinaigrette, and brush the rest onto the toasted baguette slices. Spread plain chèvre on each slice then top with a spoonful of the salad.